Over the years I have been fighting for conservative values in Lumberton and Texas. I fought against tax increases in Lumberton. I fought when Lumberton has gotten treated unfairly in the past even though we pay most taxes and have high appraisals. I have fought against waste spending and I have fought for morals and values in our schools and our government. I have fought for the residents of Lumberton to be able to get important issues on the ballot so that the people could vote and make their own decisions for the city instead of being told what to do. I am not even elected to be on the State Republican Executive Committee. 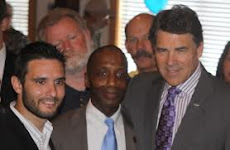 We run govern and manage the Republican Party for the entire state of Texas. We make million dollar decisions and stand for conservative issues. I listen to the people and I stand for what is right and never back down. Hamilton was one of ONLY 3 Republicans to vote AGAINST Windstorm Insurance Reform. Hamilton voted against reforming windstorm insurance which would have devastated windstorm insurance. In voting against Lawsuit Reform, Hamilton sided with the Obama supporting lawyers who want to make millions. Mike Hamilton voted to give Illegal Aliens Driver’s Licenses Representative Hamilton even voted against providing law enforcement officers with the necessary training to stop illegal immigration.